[Villa Honeymoon] The honeymoon should be a special day, the VILLA Centopino located in TUSCANY is one of the most romantic villas as it allows you to see a memorable landscape relaxing with the gentle massage of the heated outdoor Jacuzzi. Why spend honeymoon in Villa Centopino?? “Holiday in Honeymoon“: Tuscany Villa Centopino is a small villa of 110 sqm, ideal for couples seeking privacy and relaxation in their honeymoon. The window of the bedroom overlooking the pool, until you see the green landscape typical of Tuscany. The cypress trees that surround the lawn and pool will certainly be able to guarantee your privacy. Extra virgin olive oil, wine, local products and art cities make Tuscany a region perfect for the holiday. The Tower of Pisa, the Uffizi and the Ponte Vecchio in Florence, the Palio of Siena, the castle of San Gimignano have become unmissable appointment for a tourist who chooses to visit Tuscany but the smog and noise pollution of the city threatens to ruin their honeymoon, why we recommend spending your honeymoon in Villa Centopino, surrounded by greenery, away from any form of pollution, but located in the geographic center of the best Tuscan art cities. For more image and for discover all the services included visit “Tuscany Villa Centopino” , if you want to book directly or request more information, please visit: reserve Villa or send an email to leonardocambi@hotmail.com or contact the number 0039-333-5257048 or 0039-0588-20428 . Save more for low season if you book for 1 week. Search honeymoon on wikipedia or serach search with google “honeymoon in Tuscany” or search with bing: honeymoon in Tuscany Villa . 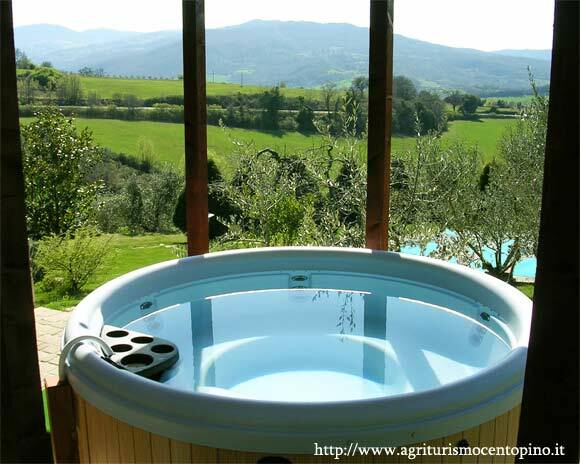 If you wont to book in tuscany in the Last Minute visit: Last Minute Villa Toscana or read articles about villas in Tuscany for summer 2011. Questa voce è stata pubblicata in tuscany-holidays e contrassegnata con ville toscana. Contrassegna il permalink.